Among other things, this case has some interesting things to say about IIC and proper controls in survey cases. In 2015, when survey respondents in the general population were prompted for the first two health charity organizations that come to mind, “respondents were vastly more likely to name the American Cancer Society (46%), St. Jude Children’s Research Hospital (28%), American Heart Association (19%), and Susan G. Komen for the Cure (10%), than they were to name the Alzheimer’s Association (3%).” When they were asked which organizations “involved in the fight against Alzheimer’s disease” they have heard of, the Association registered 8-12% awareness from 2011-2015. Among the demographic groups that the Association targets with its advertising messages, unaided awareness of the Association among organizations “involved in the fight against Alzheimer’s disease” hovered between 10% and 20% from 2009-2015. Aided awareness of “Alzheimer’s Association” was roughly 25-32% among the general population, and at 35-47% among targeted subgroups between 2011- 2015. For the Foundation, those numbers were 15-19% and 25-32% respectively. 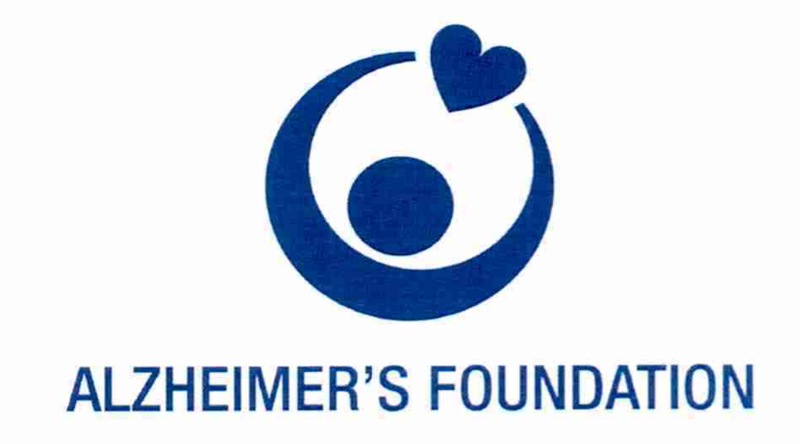 The Foundation also has a registration for “Alzheimer’s Foundation” plus the heart in hands logo. The Foundation disclaimed any exclusive right to the literal elements of these marks. In 2014, the Foundation filed for a standard character mark for “Alzheimer’s Foundation,” now registered on the Supplemental Register with a claimed first use date of 2004. Before 2009, its use of the two-word name (without “of America”) was mostly limited to press releases and sponsored ads online, as well as on the Foundation’s Twitter account. Since 2004, the Foundation has described itself in the header of online ads using the two-word name “Alzheimer’s Foundation,” resulting in over 30 million impressions between June 7, 2004 and the end of 2009. The Foundation also bought Association marks as keywords. From April 2012 to June 2014, the Foundation ran sponsored ads that used the word “Association” in the text, ending when the Association objected. There was evidence that a check for the Association was received alongside a printout of the Foundation’s internet donation form. When asked why she had submitted the Foundation form, the donor claimed that she had typed the Alzheimer’s Association name into her web browser and clicked on the first entry that came up to download the form for donations and that she was unaware that she was on the Foundation website. No one testified about other donors or potential donors contacting one organization looking to donate to the other, apart from people asking about the difference between the Association and the Foundation. Other purported instances of confusion included that NBC’s Today show ran a quotation the Association has provided alongside the Foundation’s logo, but that was the logo with the words “of America,” and wasn’t at issue in this litigation. In Celebrity Family Feud, the host once suggested the show was raising money for “Alzheimer’s Foundation,” when it was actually raising money for the Association. These instances didn’t have a clear link to the Foundation’s allegedly infringing actions. Another study allegedly showed IIC. Respondents were asked to type “Alzheimer’s Association” into a search box and then were either shown results including the Foundation’s disputed ads and other keyword ads (test condition), or organic search results without ads (control condition). Respondents were asked to click on the link/s they thought would take them to the website of the organization for which they searched. If they clicked on the Foundation’s ad, they saw the Foundation’s web page and were asked if they thought it was the web page of the organization for which they had searched. If respondents didn’t select the “Alzheimer’s Foundation” or control links, respondents were asked to click on the link or links, if any, that they believe would take them to the website of an organization affiliated with the organization they searched for. There was a net rate of 20% sponsorship confusion, and, of the 42% who were confused in the test condition, 74% remained confused as to source or affiliation after viewing a screenshot of the Foundation’s web page (31% of the total respondents in the test condition). Because the Association didn’t challenge “Alzheimer’s Foundation of America” in any context, the key question was the [marginal] likelihood of confusion arising from the use of the two-word name and the Foundation’s use of Association marks in search keyword ads and metagags. Anyhow, the court noted that it wasn’t evaluating the Foundation’s keyword buys in a vacuum, but rather the effect of the keyword purchases in conjunction with the Foundation’s resulting ads. Further, the key type of confusion was IIC. Was the Foundation engaging in a bait-and-switch likely to confuse consumers, or offering consumers a choice? Though the Association’s mark was incontestable, it was still commercially weak, which was crucial to the court’s holding here. As the Ninth Circuit has said, “a consumer searching for a generic term is more likely to be searching for a product category. That consumer is more likely to expect to encounter links and advertisements from a variety of sources.” Both components of the Association’s mark were descriptive of the relevant charitable endeavor. Althought the Association is the world’s largest Alzheimer’s-related non-profit and the world’s largest non-governmental funder of Alzheimer’s research, the consumer studies in evidence showed that the mark’s secondary meaning was not strong. Between 10-20% unaided awareness among potential donors wasn’t much. Mark similarity: the court reasoned that the proper comparison was not the mark to the keyword buy itself, but the mark to the resulting ads, because that’s how consumer confusion would manifest itself. 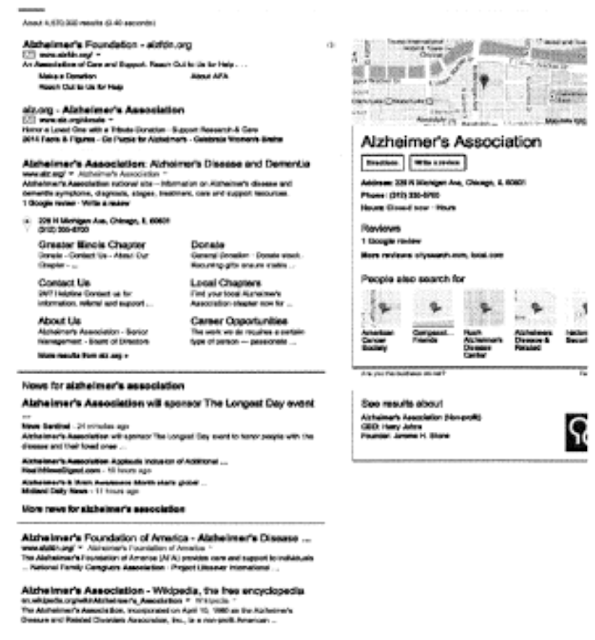 The Association argued that, in organic search results, AFA’s website appears as “Alzheimer’s Foundation of America,” and that the use of the two-word name in the ad header and sometimes “association” in the ad text combined with the keyword buys to increase the similarity between the marks/ads. The Foundation argued that, in context, the similarity was “mitigated by the unique information and URL of its ads,” but the URLs www.alz.org and www.alzfdn.org and ad text, e.g., “Honor a Loved One with a Tribute Donation. Support Research and Care.” and “An Organization Providing Support for Your Loved One with Alzheimer’s” weren’t particularly dissimilar. And differences in the parties’ websites came too late. The ads were similar in appearance and meaning, favoring the Association. The Foundation tired to argue that it was primarily focused on providing care services while the Association focuses on funding research, but that didn’t distinguish them in the market for donors. Finally, the surveys’ flaws meant they merited little weight. The point of the surveys ought to have been to pin down causation by focusing on the challenged behaviors, but that was exactly what they did not do. Intent: The Association argued that the Foundation complained of the confusion created by the similarity in the organization’s names back in 2004, but, despite its own complaints and lawsuits, then proceeded to employ Association marks in its metatags and as keywords, as well as attempting to register a two-word mark without really using it. The Foundation argued that it didn’t intentionally use false specimens and that its internet ads had been similar since 2004. The court didn’t find the Foundation’s trademark counsel “particularly credible in his explanation of the false filings, but circumstantial evidence about AFA’s trademark applications does not itself suggest an intention to capitalize on the Association’s goodwill or to exploit confusion.” And the Foundation noted that the Association also bought Foundation keywords before 2010, and coexisted with the Foundation and its practices for six years before suing. When the Association complained about the Foundation’s use of the word “association” in its ad text in 2014, the Foundation removed the offending ads. The court found that intent favored the Foundation. “In many respects, the lack of direct evidence of actual confusion undermines the Association’s attempts to argue that AFA acted with the intention of exploiting consumer confusion.” The evidence didn’t support the claim that the Foundation believed the specific practices at issue here were causing consumer confusion. Because this factor failed, the Association also failed to show the intentional deception vital to IIC. Consumer sophistication: the relevant population was the average consumer searching for the Association online and seeing the Foundation’s ad, who are less likely to be institutional donors and many of whom are first-time donors. “[I]n this day and age, the ability to complete a form on a website does not itself make consumers particularly sophisticated.” This factor favored the Association. Highlighting my ongoing conviction that elaborating causation stories makes actionable confusion less likely to be found, the court elaborated that it was trying to figure out how many consumers fell into the relevant subpopulations: (1) Those who weren’t confused, either because they were using “Alzheimer’s Association” in a generic sense in their search or because, on seeing the search results, they understood the difference between the two organizations. (2) Those who clicked on the Foundation’s ad by mistake and who were diverted because of the Foundation’s keyword buys and its use of the two-word name “Alzheimer’s Foundation.” A subset of (2) could remain confused even after viewing the Foundation’s website. (3) Those who were mistakenly diverted for other reasons, such as because of the inherently weak and descriptive nature of the parties’ marks. “These consumers are ‘confused’ in the colloquial sense, but would have been confused even if they searched the word ‘Alzheimer’s’ alone or even if AFA solely utilized its full name.” In light of the evidence, it was difficult to identify the proportion of consumers in each group, and thus the Association didn’t show a probability, as opposed to a possibility, of confusion. Finally, and perhaps exhausted by the effort so far, the court rejected the Association’s attempt to cancel the Foundation’s marks. As to one mark, the court accepted the dubious rationale that filing a Section 8 declaration in 2017 showed lack of abandonment. Even though the court didn’t see where the challenged mark, as opposed to the other mark, was included as a specimen of use in that filing, “the filing of the application alone demonstrates AFA’s intent to use the ‘014 Mark. Given the high burden placed on the Association to establish abandonment, and the limited evidence adduced, the Court cannot find abandonment.” I can’t see how that can be right—if the challenged mark isn’t in the filing, given multiple years of alleged nonuse, that can’t be the end of the analysis, unless there’s some sort of implicit tacking analysis going on. misappropriation had to be made with actual or constructive knowledge, but Lewis was Blue Star’s employee at the time of the alleged misappropriation. Blasko plausibly alleged that Lewis was acting within the scope of his employment at Blue Star, and thus that Blue Star was vicariously liable, a type of liability the court determined was available under the FDTSA. Even assuming, as Blue Star argued, that Lewis’s secret relationship with Blasko was in violation of his employment agreement with Blue Star, and that, had Blue Star known about it, Lewis would have immediately been fired, agency/responsibility for Lewis’s acts was a factual issue. Blue Star did better against Lanham Act and state false advertising-related counterclaims. Blasko alleged that Blue Star misled consumers into believing that Blue Star had the lawful right to republish the artwork in its books; misled consumers by passing its books off as books published by their competitors; misrepresented that one or more of Blue Star’s books were “NEW & EXPANDED”; and misrepresented that Blue Star’s artwork is “all hand-drawn” and drawn “by independent artists” in Texas for Blue Star. Lexmark’s causation requirement had bite here, despite the fact that the parties directly compete. 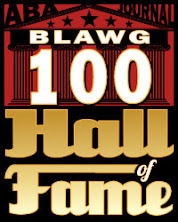 The court indicated that “Blasko might have demonstrated the needed causal connection by alleging, for example, that some of Blue Star’s claimed ‘knock-off’ publications mimicked Blasko publications or that, unlike Blue Star’s publications, Blasko’s publications actually were hand-drawn, created by independent artists, or created by local or Texas artists.” But Blasko instead only conclusorily alleged harm. Direct competition wasn’t enough; Blasko didn’t allege how any of Blue Star’s alleged conduct took away from Blasko’s market share, as opposed to that of other competitors. Nor was it sufficient to allege that Blue Star could sell at lower prices for higher margins and with less cost because Blue Star does not pay for the proper licensing fees that Blasko pays, “including for books containing the same themes and images such as the parties’ Dia de los Muertos books.” The injury to Blasko could have resulted from any number of other reasons—potential harm isn’t enough for standing. Buckeye sells floor finishing products, including Gym Bond, which is supposed to help a clear topcoat adhere to a previously finished gymnasium floor. Schmidt used Gym Bond on the floors of several sports facilities, but the floors had problems with peeling. Schmidt turned to social media and email to voice its complaints. Buckeye contends that the peeling was caused by Schmidt’s faulty preparation of the floor surface, and sued for false advertising and related claims. The court denied a preliminary injunction. “A customer’s complaints about a supplier’s products and services, even if posted on social media, are not statements made in commercial advertising or promotion.” In addition, there was a genuine dispute about the cause of the floor problems, making speech and counterspeech the appropriate resolution for now. is broader than classic advertising, and it is not limited to traditionally published or broadcast materials. There is no requirement that the challenged communication be distributed broadly to the general public, but there must be some public dissemination. Individualized person-to-person communication, whether conducted in-person or by means of correspondence, is not within the scope of the statute. 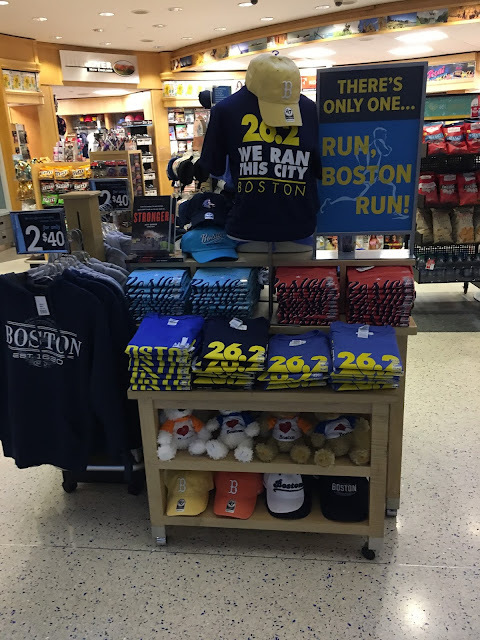 This public complaining wasn’t “a prototypical negative advertisement that disparages a competitor’s goods to promote one’s own. …Schmidt is explaining that the trouble with its floor refinishing is not its fault. And Schmidt is warning Buckeye’s customers about an alleged deficiency in one of Buckeye’s products. There is no endeavor to persuade any potential customer to choose Schmidt’s services.” [Though explaining that the trouble wasn’t its fault does seem to be designed to boost Schmidt’s attractiveness to potential customers, as well as to criticize Buckeye.] Ultimately, Schmidt’s social media postings weren’t “a systematic communicative endeavor to persuade possible customers to buy the seller’s product.” “[T]he communications at issue in this case are, at heart, those of a customer who is unhappy with a supplier’s product,” and Lexmark indicates that this isn’t generally within the Lanham Act’s purview. Lexmark said that in the context of not letting the customer sue the seller for false advertising of its own products’ characteristics; Lexmark itself is a disparagement case, and I read the case as allowing far greater scope for disparagement claims. However, the court here thought that sauce for the goose was sauce for the gander: if the customer can’t sue for false advertising, then the converse should also be true. Thus, “[t]he public interest is better served by Buckeye offering its counter-explanation rather than by shutting down Schmidt’s side of the story.” Of course, causes of actions with heavier burdens of proof on intent remain. Tisha Turk presented on problems with screen capture using Movavi, one of the programs that the opponents want people to use. She showed stuttering, jerkiness, pausing in capture from Netlfix. Results in nonstandard framesize, which causes technical problems with editing and export. Capturing streaming is going to be more prone to glitches due to additional layer of difficulty of capture. Many computers don’t have optical disc drives at this point so streaming might be the only option. Opponents: Screencap programs have settings that can be optimized. Streaming: you don’t know what the internet connection was and whether that was the problem. Was the codec lossy or lossless? The lossy format will require a certain amount of compression. You can’t just sit down, use a screencap program for the first time, and get perfect results. The ones we have offered fairly compensate for every program. Not familiar with Movavi. Had to learn screen cap programs every three years now. There are infinite numbers. Also much easier to learn than Handbrake and video editing. As a hobbyist, you can easily spend the time to learn how best to maximize the results. Jack Lerner: Two points: Morrissette noted in his statement, attached to Jt. Filmmakers—many sound difficulties with syncing, computer noise, stereo effects & other important parts of the sound that aren’t captured by screencapture. Also, there is no such thing as lossless screencapture for Blu-Ray. Maybe he’s referring to highest possible fidelity, but we have found nothing on the market that doesn’t drop frames and lead to stuttering and other problems. 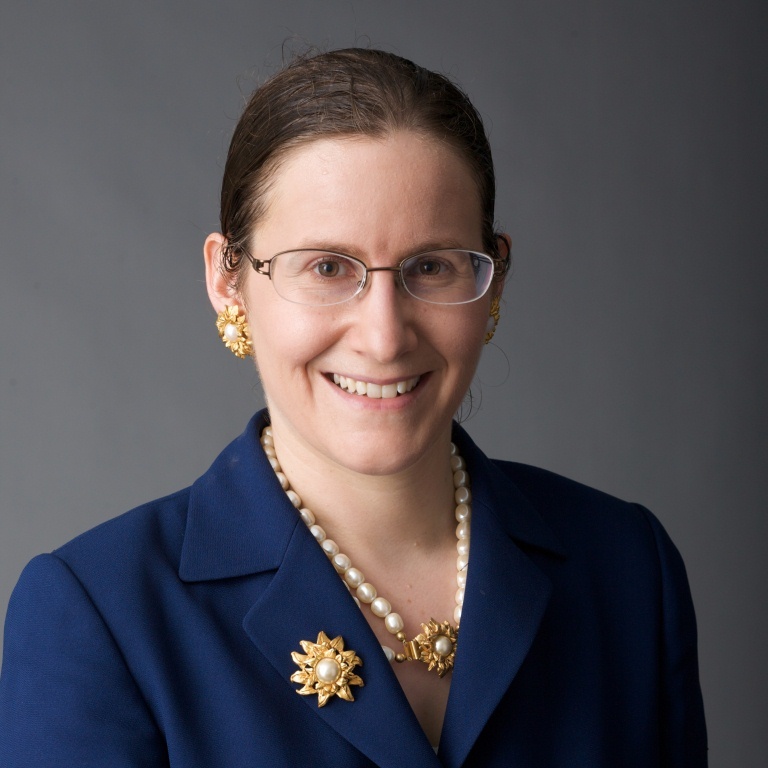 Betsy Rosenblatt: Movavi is among the popular screencap programs; there are several. Does screencap require circumvention: nobody knows. Which is one of the issues with an exemption that deals with distinctions between types of programs. Netflix: this stream was from Netflix, but we have numerous reports of people using screencap who end up with just a black screen. There are certain sources from which screencap is simply inadequate. As to whether screencap from streaming is different: it’s necessary to use streaming for some things for unique or timely sources. To say that one could have an internet lag free screencap is true only for some materials. Resetting screen size was suggested as an option: results in difficulty editing but also loss of material on the sides of the screen—uses the aspect ratio of whatever computer you’re working on. Professor Turk can speak to this w/other clips. To the extent that the stutter was supposedly a result of internet lag: that was created in an LA home with high speed DSL; many people have worse. Even in a perfect internet connection there is frame loss and blurring. Opponent exhibit: from a woman responsible for VOD output for Discovery. Transcoded AVI to mp4. [The unanswered questions here were how these clips in the opponents’ exhibits were created, and how long it took to get those clips to the condition that they could be imported and looked good. All the opponents’ exhibits start with the clips as if that were simple, something that the opponents’ statement above indicates was probably not the case.] Asked to determine if these clips would be usable as a deliverable for pro use, and the answer was no. But if a small clip was used in a larger project, providers would accept the whole project. Using multiple sources with multiple frame rates is common. You use the frame rate that the majority of your clips use, and the hope is that the converted clips will look ok. Apple is the pickiest of the providers, and has accepted some mixed cadences, just won’t accept a lot. Inverse telecining: backwards conversion to return it to its remaining frame rate. As long as it comes out converted, and it’s a small portion of the project, it’s usable. Opponent: screencap in lossless ODS format. Does drop frames. Opponent: they call it that. [!! My advertising prof senses perk up.] It’s not frame for frame, but for a screencapture, it’s getting 9/10 of the frames, and there’s a lot of frames. We submitted something different to her [the video maker] than to you b/c there was a learning curve in using the software. It results in a huge file, but it is high quality—someone who works for Discovery has said this could be included in a final product for Apple. A small piece, as w/exemptions, is perfectly fine. Every work requires postproduction editing, and no one gets a perfect clip the first time. Opponent: we’ve shown that screencap has improved enough to meet distribution standards. We aren’t dealing w/close analysis. Any documentary film that uses an archived clip has to deal with this processing problem regardless of how acquired. Turk: Codec is just the format in which something is encoded and decoded. Something can be coded in lossless format but all it encodes is what it’s fed—a stream that has dropped frames or is pixelated. Neill: working with people on distribution contracts—practically, most of the folks getting a contract related to nonfiction, documentary, short films—these are small projects with modest budgets. If you’re told to return and recut the video and find the source material, that takes time and money and eats into subsistence return. Upscaling isn’t sufficient; there’s Netflix standards on upscaling that reject it. Far-fetched to say that distributors are accepting this across the board. They will ask a filmmaker to go back. Neill: reply comments have cites to client w/broadcaster who rejected clip that was screencaptured. Rosenblatt: inconsistency in the arguments. The argument that screencap is good enough for everything is fundamentally inconsistent with the argument that DRM is necessary to prevent piracy. We’re asking people who make art and commentary to sacrifice their vision; turning CO into art critics. Opponent: we didn’t oppose renewal. Expansion is on the table. They’ve had a hard time establishing uses are noninfringing. Compare that w/the quality of screencap, what we saw was that the quality is pretty good, and that’s true w/experts too. Take that into account when weighing blurry issue of noninfringing status against ease of screencap. CO: do you envision that the filmmaker has to actually get rejected to use the exemption? Opponent: it’s good faith/common sense; doesn’t require rejection by the broadcaster. Requires sampling products on the market. If you’ve been rejected in the past or you compare their standards to what you can get, you don’t have to try again. CO: so now the filmmaker rejected by the broadcaster can circumvent from now on? Opponent: that would be a common sense approach. Not sure if it was eligible under existing exemption. Rosenblatt: It depends entirely on what you’re doing. People who want to make seamless stories from multiple sources have difficulty w/different frame sizes, frame rates. If you want to focus in on something, you can’t do that dependably using something that will result in blurriness or loss of material. We aren’t looking for proof that every use is fair, but for the significant possibility that fair use is deterred. CO: are people confused about screencapture as an alternative? Rosenblatt: Turk can address—but this is a law that addresses more what happens after you make a thing than before. 1845 people responded to our survey Q about what the DMCA was: 1400 hadn’t heard of it or didn’t know. Of the 440 who said they did know, only 67 mentioned anticircumvention, and 6 mentioned exemptions. 1/3 mentioned complicated, confusing, convoluted. The people who knew about it said “I have little understanding do to the confusing and vague language.” “scared the pants off of everyone in my middle school.” That’s the sort of user we’re dealing with. That may not address directly your Q but it speaks to our argument that people aren’t likely to seek out something that won’t work as well when there’s an option that works, from the consumer standpoint, and they won’t have to go through these multiple steps. They don’t understand why one means of achieving a fair use would be illegal and another wouldn’t be. Rosenblatt: there is a chill when people know, though it’s fair to say there’s not as many of them. A lot of the trouble comes when someone who isn’t chilled b/c they don’t know then has to interact w/ an institution like a school, traditional publisher, library, who won’t facilitate/adopt their work, or when responding to a takedown, or trying to get insured. That’s where the chill happens, not in the initial creativity but in the use of what you’ve made. Turns the law into a trap for unwary, makes fair uses more vulnerable to takedowns. When you encounter a gatekeeper, like iTunes, it can turn out what you’ve done is illegal even though it would have been legal if you used a different program. CO: is it really just because people don’t know if they can use screencap or not? Rosenblatt: a few levels of confusion. Screencap is one. They don’t know what noncommercial means: if it’s on YouTube. Rosenblatt: Times have changed a bit regarding the way content is delivered in the sense that noncommerciality and whether someone is personally making money off their creation is just more complicated. We are very much about noncommercial creation, but we’ve had people come to us increasingly confused about what noncommercial means. CO: filmmaking and ebook aren’t limited by commerciality; should they be? Turk: The remix community uses what works. I was mystified that screencap came up at all. The goal for a remix artist is to get good quality video into the computer. Didn’t understand why anyone would be asked to use something that doesn’t work as well. Can’t you just know from past experience or other people’s experience that this typically doesn’t work, and that another thing works well, and participate in a community that gives advice about what works well? Can’t we just say, if it’s fair use, get the video in a way that works for you and go? I would never say don’t use screenap. I wouldn’t do it. There might be cases where someone wants or needs it, but I’m interested in the end result. Is the quality good enough that someone won’t just hit the back button? Evidence is that if something looks amateurish people don’t watch it. CO: Remix and education: K-12 remix activities—screencap might be perfectly adequate? Turk: It might be. Haven’t taught remix in those settings. I come back to: don’t disallow it, but don’t impose it on people whose workflow or access to technology works better w/a different format. Taylor: We endorse joint creators’ proposal for simplifying regulatory language. Improvement over actual statutory exemptions. Not very difficult to understand, once you start looking at it. If it’s so confusing, could provide them some examples of what activities would look like. You could provide them examples from this rulemaking. Neill: We’re dealing w/ a subset of noninfringing uses. The analysis happens on each individual clip. That’s how a real fair use analysis happens, regardless of whether it’s a documentary or YT video or some other format. Trying to avoid haplessly violating law when making video on day to day basis. There’s lots of possible kinds of confusion. Looking back, we can see the evolution of filmmakers who do a variety of different formats—not just fictional, but documentary, and other types. People could turn around the next day and use a clip in a way that’s fair use and be excluded as they weren’t the day before. We’re trying to deal with gaps—examples of what’s ok won’t help if you’ve added all these additional layers of requirements. Many times these requirements have never been developed/delineated in case law. Lerner: 8 renewed exemptions have said that people need to use clips which apply to the proposal for expansion, as well as a number of examples for expansion, and the statute doesn’t require the limits that are on the current exemptions. House Commerce Committee said that motion pictures could be an appropriate category for exemptions, and the report goes on to say that it wouldn’t be appropriate to go too narrow in the sense of Westerns, comedies, etc. Lerner: motion pictures restricted in other ways, such as short portions/commentary, then you’d have an appropriately narrow class under the plain meaning of the statute and what Congress said in the legislative history. We aren’t asking you to break new ground for these uses: short portions for criticism/commentary. Not controversial that many fanworks are criticism/commentary; the Register is on record as saying so. Juxtapose in order to say something new. We’re not talking about a sequel but about a critique. Harry Potter; GWTW. CO: Harry Potter wasn’t saying fan fiction was always fair use. Lerner: Sure, but many are, and that’s the proposition that isn’t controversial given the record and the case law. CO: [adopts wrong characterization of Dr. Seuss v. Comicmix as definitively not fair use] Give us specific guidance—where do we draw the line? [Short portions, criticism or commentary] How do we protect only the fair uses. CO: Dr. Seuss says it’s not just transformativeness but also no effect on derivative market. And why should we drop noncommerciality? SCt has said that the effect on the market is key. We also have to look at commercial effects. How can we provide enough guidance? Lerner: short portions makes a real dent. It won’t match perfectly but that’s ok b/c there’s a remedy for infringement. This is a phantom threat—if someone is going to infringe, and they’ve ripped to commit infringement they’re claiming criticism and commentary, you have statutory damages for that. Williams: CO began by denying exemptions for fair use for AV works. Then the CO decided it would specify certain categories of users, it could get there. [Fortunately we’ve learned since then a bit more about what works and what doesn’t.] When you disregard current boundaries that effort falls apart. Fair use isn’t an appropriate category. TVEyes: transformativeness doesn’t moot the fourth factor. [Though the short portions thing, as with every other case they’ve mentioned, distinguishes that inasmuch as TVEyes offered people everything.] Often hard to perceive the parody/transformation in fanworks; use full songs [of what relevance is that to the clips?]. What’s the potential harm to copyrighted works? The fact that there are licensing options for fictional filmmakers and ebook authors! [That always have anti-disparagement clauses.] Wouldn’t say it’s never fair use to make criticism and comment generally, that’s a harder sell than criticism and comment of the work directly. Many of these examples don’t comment on the work itself. Rosenblatt: one of the chief confusions is that people are confused about whether they fit into the type of creator category that distinguishes between existing exemptions. We aren’t here to litigate remix video but to talk about where other things might fit in, like multimedia ebooks, and uses that attorneys might make in litigation [yes!]. Documentary about a guy who’s exonerated by footage showing that they were at a baseball game. Makeup tutorials juxtaposing a face to a clip from a movie. YT reviews of movies. Where do things fit in? Makeup tutorial is criticism/commentary, short portion etc. Audio only uses of AV works—podcasters who want to rip to get high quality audio b/c listeners expect that. Rosenblatt: can follow up w/submission. Also there are lots of people who have questions: Quora: is it illegal to use audio trailer in my podcast? Answers are all over the map. Audacity forums where people say, I need to rip to get high quality audio, b/c Audacity won’t let me use it w/o high quality. I have examples of these questions—could also make a follow up submission. You could also have like Canada’s UGC provision does, uses that don’t usurp the market. Rosenblatt: we’re not arguing to eliminate use, just user categorization questions. Rosenblatt: educational/derivative uses are hard to separate—a lot of derivative uses are educational. Doesn’t feel comfortable speaking to opponents’ proposed language. Neill: Williams skipped over the harm to © works from clarifying the language. There isn’t any. What is the harm that’s on the record after so many proceedings? CO: in 2015 rulemaking, the Register found that licensing wasn’t viable. Speak to why it has changed. And to which uses there is a viable market, e.g. comment and criticism. Sheffner: MPAA represents 6 major movie studios, with different divisions (movie, TV, news). Clip licensing is sometimes centralized and sometimes not. Different philosophies and business practices, can only speak in aggregate. Overall, every studio licenses clips. They have websites with info about this. In most cases it can be done online through forms, email, phone. There was an old FAQ that said only a fax, but looking more comprehensively there’s actually phone or email. CO: is it fair to say that’s an alternative to licensing b/c you still make money? Sheffner: there’s a license agreement w/YT. [That’s about the footage, not the circumvention. That doesn’t provide the footage which is the precondition to make the video, as a real license might.] Tolerated even if infringing b/c enforcement cost too high. New business model where the work is identified and a license is granted to YT to allow that use even if it otherwise might have been infringing. [Which suggests that circumvention has no adverse impact at all.] Several thousand clip licenses per year, but not much ability to give a breakdown fiction/nonfiction/education. Can’t indicate monetary value, but licenses exist in each category. Sheffner: can’t answer whether that would have prevented licensing record examples from proponents. These have been discussed in previous cycles; there’s no change in the record. Sheffner: this isn’t really an issue about 1201, but contractual issue. CO: what effect is changing the exemption likely to have on the market for © works? Sheffner: clip licensing is a real market. [what effect is non-screencap circumvention likely to have on that market?] It’s significant though not dominant—people have jobs doing licensing. Fair use looks at the aggregate effect on the market of this kind of activity. [Fair use activity.] It absolutely would. Clip licensing revenue would dry up if all clip uses were allowed. CO: we’re talking about arguably fair use for purposes of comment and criticism. Proponents say that if a use is fair there’s no right to payment. Sheffner: 1201 itself require that you look at, even if the uses are fair, would allowing the exception cause substantial harm to the market. [Really? That’s not how I’ve understood the statute—it’s the legitimate market for copyrighted works, not the market for extortion based on technology. The statute wasn’t supposed to eliminate fair use or enable it to be switched to fared use.] Look at the aggregate effect on new business models. Normalization of ripping is dangerous [v. screencap?] Exemptions need to remain narrow and focused. Broader and less focused they are, the more it becomes nonspecialized and word gets out. [His assertion is not really evidence of that; indeed, the record evidence is all to the contrary. I wonder what the APA standard on this is?] Exemption shouldn’t swallow the rule. Difficult to quantify. Neill: In past proceedings, piracy has come up. We haven’t seen any direct evidence why an educator, artist, or filmmaker’s use of a short clip will create piracy. If you focus on the harm, the Joint Creators make money off of even infringing uses through YT; no one here is talking about infringing uses. The question is: unidentified harm that is unsubstantiated from people making noninfringing uses. If any harm exists, it’s the inability to get a license from noninfringing uses –which is not a harm. CO: we also have to consider the adverse effect on the market for derivative works/licensing. Neill: I’ve worked with folks who have both licensed and unlicensed clips. When a use should be licensed, that happens. Those licensing markets are available to folks who want to make otherwise infringing uses; we shouldn’t be concerned about licensing otherwise noninfringing uses. When we look at our streamlined proposal, there are specific limits. As far as slippery slope, our language is linguistically almost identical to past exemptions but for the user language and the access control language—it’s been 9 years. No evidence offered of some vast slippery slope. Williams: no studio policy against individual uses. Sites in the record don’t ask you to verify that you’re a registered corporation. Dr. Seuss says that even if a plaintiff doesn’t have evidence it’s entered the mashup market, it’s potential if has licensed other uses [Again, misdescription: there, the plaintiff alleged that it collaborated with other rights owners, such as Jim Henson to do a Muppet-Seuss crossover; that doesn’t mean that “mashup” in general is a standard or likely to be developed derivative market, or more relevantly that criticism and commentary are legitimate markets]. Williams: yes, you can make contact with the studio. Whether each studio would agree to find the clip you want, he can’t say. There are also ebook examples: enhanced Harry Potter series, enhanced GoT series. They don’t necessarily use clips from motion pictures, but you could easily imagine them doing clips from the motion pictures. Enhanced Roots with archival footage of author interviews. Making of Indiana Jones: full of stills, and those are always licensed [not true for academic work; see also the Grateful Dead/Dorling Kindersley case] and they have the right to choose who they want to partner with. Not saying that you have to look at factor four even if the use is fair, but if there are some things that are probably fair and others that probably aren’t, you have to see if the spillover from an exemption will cause harm to a market. Lerner: Universal clips website requires users not to disparage, criticize, belittle, parody, or negatively comment on. This is the sword of Damocles that can be asserted at any time even after licensing. Telling that Sheffner compared licensing to one of the most exclusive housing markets in the US. There is a licensing market, but it’s not available to everyone. Some of our clients use it but most can’t afford it. A lot of what’s going on is fair use, and 1201 is holding us back. How much money have studios lost due to existing exemptions? No record evidence. Only harm they’ve articulated is a threat of a marginal number of fair uses that turn out not to be fair. Sometimes rightsholders just say no: MPAA member itself had to make fair use of the Steve Jobs Apple TV ad. Sometimes they don’t call back: personal experience w/ a number of clients. Orphan works problem. People can’t afford licenses. Dr. Seuss notwithstanding, a sufficiently transformative use doesn’t require a license. Campbell v. Acuff-Rose found fair use possible despite negotiations about license that broke ground. Taylor: possibly give us an opportunity to review any language before publication: would help in efforts to resolve/simplify. Current exemption has misidentified AACS as Advanced Access Control System, when it’s Advanced Access Content System. If we’d been allowed to comment, we could have corrected it. CO: if you were to make a vid equivalent in the ebook world, would you be editing the clip itself? Tandy said that remix artists could want to make ebooks. Current video exemption involves a lot of clip editing—would that be true in an ebook as well, or would it be unaltered clips + writing? Rosenblatt: the answer is yes, sometimes those ebooks would need or want to alter the images themselves or the sound. Examples focus in on particular part, or split-screen where they are remixing the video as well as juxtaposing. Lerner: the video exemptions are the only exemptions that mandate specific technologies. That’s one reason we’ve asked for a tech-neutral exemption: we benefit from seeing what has changed over time, as w/DVD, Blu-Ray, etc. AACS2.0 is no different functionally from the other mechanisms. At a talk today (should be posted in about a week), Judge Leval gave a beautiful explanation of why good faith/bad faith shouldn’t matter to fair use. Boiled down and stripped of its eloquence: (1) A publisher should be able to examine the relevant works side by side and determine whether the use is fair, without investigating the good faith of the second author/the means by which the second author acquired access to the first work. (2) The inquiry should be done on the pleadings/summary judgment, and considering good faith makes that difficult. (3) The ultimate interest in fair use is the public’s, and if the public is entitled to the new work/new use and benefits from it there’s no reason that the defendant’s means of access should matter. Judge Leval also insisted that the fourth fair use factor was the key, even more than factor one, and that therefore the result in TVEyes was correct. I wish he had addressed the record evidence in that case that Fox didn’t license everything—it put video it was later embarrassed by in the Memory Hole. That seems to me quite relevant even from a market-focused perspective, especially since people looking at news shortly after broadcast, when they’re scanning for topics, can’t be sure what moments will later be awkward for Fox to acknowledge. The disclaimer “it is not a referral service” was allegedly false or misleading because the Morgan & Morgan entities, in reality, refer all or nearly all of cases from Philadelphia clients to other law firms. Billboard claims stating that “Morgan & Morgan” has “Offices Philadelphia” were allegedly false because Morgan & Morgan PA denies having an office in Philadelphia and instead states the separate entity Morgan & Morgan Philadelphia owns the Philadelphia office. Similarly, internet advertising that “ ‘[Morgan & Morgan’s] attorneys in our Philadelphia office handle cases in the following practice areas,’ referring to various types [of] personal injury claims, and identifying [Morgan & Morgan] as ‘Personal Injury Lawyers in Philadelphia’ ” were allegedly false for the same reasons. The Morgan & Morgan entities and attorneys allegedly never intend to represent personal injury clients in the Philadelphia area but refers “all or substantially all” potential clients who contact Morgan & Morgan to another law firm for a referral fee. The statements "I'm your lawyer,” “We’re all here for you,” and “You don’t pay us unless we’re successful” were sufficiently alleged to be literally false because Morgan & Morgan PA attorneys never represent, never are there for, or never are successful for Philadelphia based clients. Morgan & Morgan PA moved to dismiss as to new claims, arguing that billboards advertising “Morgan & Morgan Offices Philadelphia” weren’t literally false because “Morgan & Morgan” isn’t “Morgan & Morgan PA.” The court disagreed; Rosenbaum alleged that the billboards in the Philadelphia area were literally false when they used the trade name “Morgan & Morgan” through the trademark owned by Morgan & Morgan Global to advertise an office in Philadelphia when Morgan & Morgan Global and Morgan & Morgan PA deny having an office in Philadelphia. As for which defendants were responsible, Morgan & Morgan Global allegedly permitted its trademark “Morgan & Morgan” to be used in billboard ads stating Morgan & Morgan has an office in Philadelphia when allegedly neither Morgan & Morgan Global nor Morgan & Morgan PA had an office in Philadelphia. Allowing the trademark to be used in an ad with a literally false statement was sufficient to state a claim.